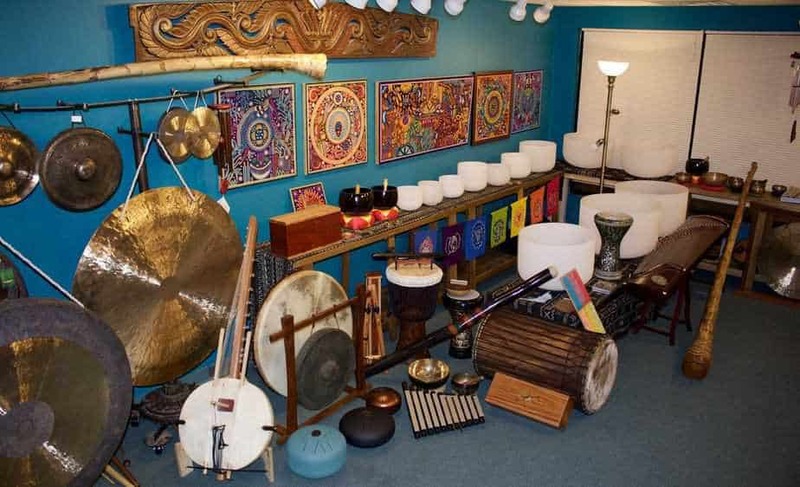 Percussion, crystal bowls, gongs, flutes, handpans, chimes, and many more instruments for sale. We host sound healing sessions and teach classes. Beginner hand drum classes are Sundays at 2pm and Wednesdays at 6pm Class is fun and relaxed. Billy teaches basic patterns and solo improv techniques as well as traditional West African rhythms. $10 Drums are provided. No experience is necessary. Class is one hour. Ongoing and drop-ins are welcome.